The Basic and Smart plans are the ones getting a data boost. The $35 (after $5 auto-pay credit) basic plan goes from 1GB to 2.5GB of data. The $50/45 Smart plan has 5GB now, up from 3GB. The 10GB plan is unchanged, but there's a new $60 ($55 after credit) plan that offers 20GB of LTE. This one is only available for a limited time, but Cricket didn't say how limited. All the plans include unlimited talk and text, as is the custom now. 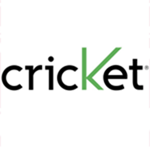 Cricket is also promoting the new plans with discounts on a few devices like the HTC Desire 510 and Moto G. Note, Cricket doesn't officially support tethering, but you know, it's not impossible to rig up.